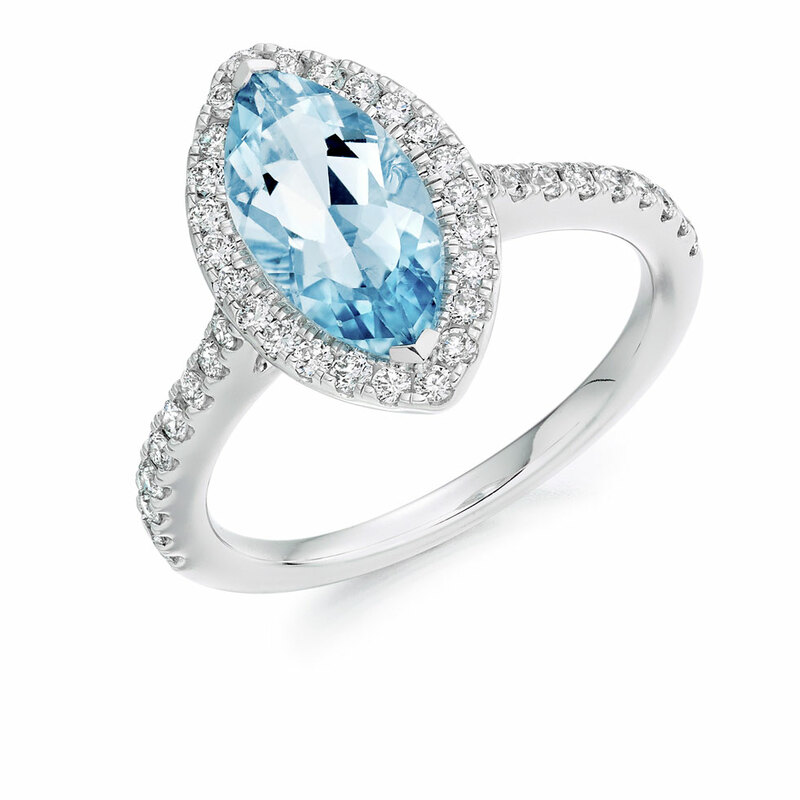 Turn heads with this amazing aquamarine engagement ring. Featuring a magnificent Marquise cut aquamarine, framed by round brilliant cut diamonds, this ring is sure to garner a lot of attention. Love this striking style and would love to view similar styles. Love this ring but want to discuss a modification? We would be delighted to discuss your ideas and quote for bespoke styles. Please book an appointment online below or contact our offices on 01 6778449 or via email at info@voltairediamonds.ie.